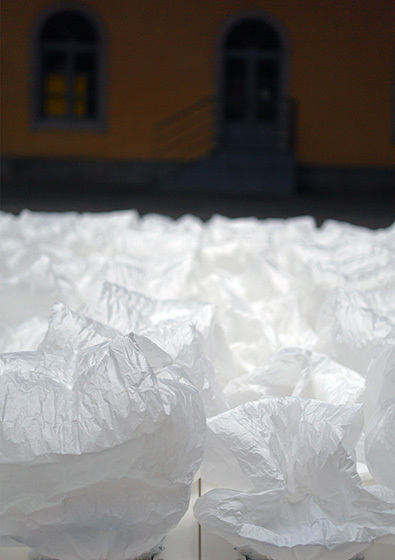 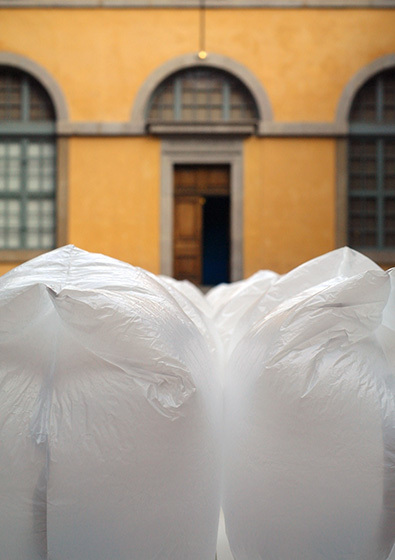 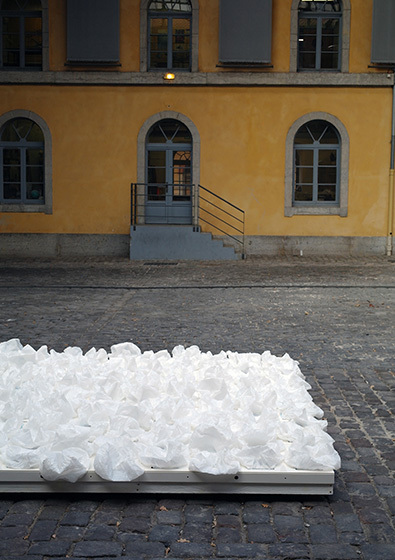 The installation is mainly made out of ordinary garbage bags which are selectively inflated and deflated by small fans controlled by a microcontroller. 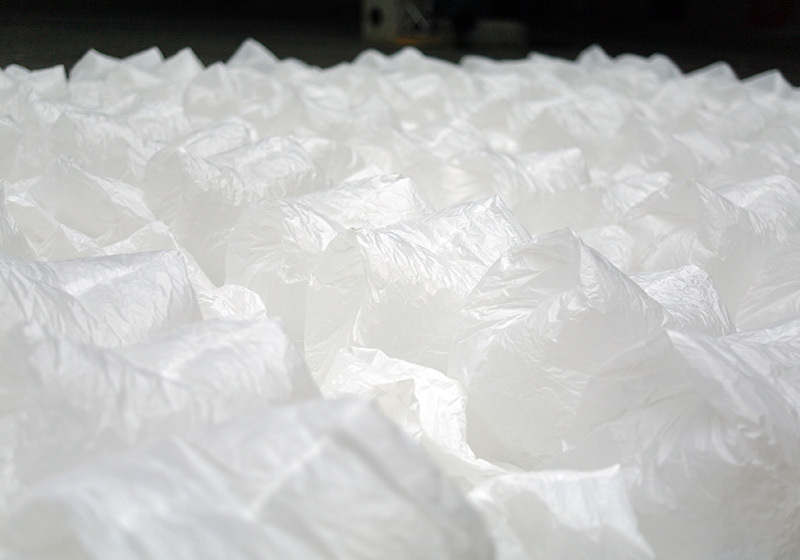 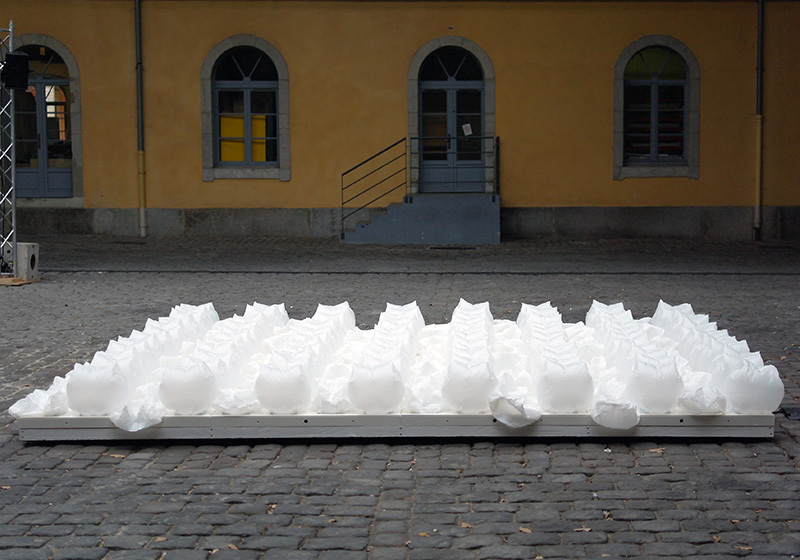 The plastic bags are inflated and deflated in controlled rhythms, creating wavelike animations. 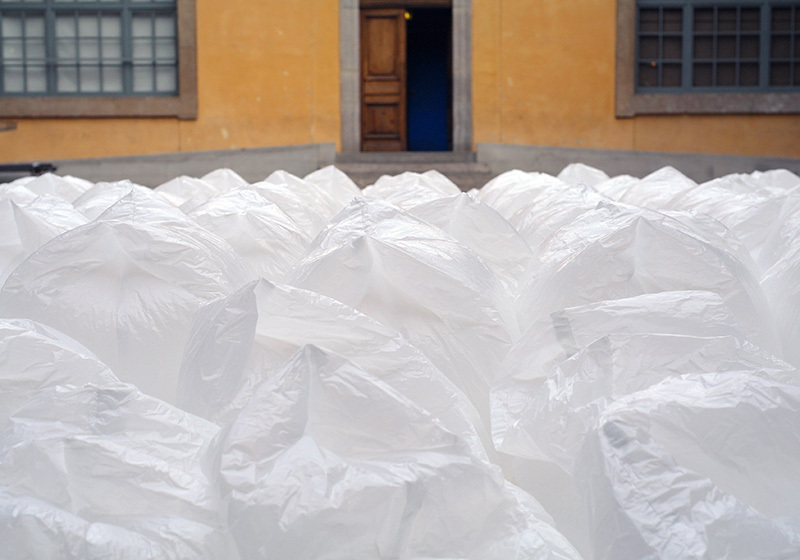 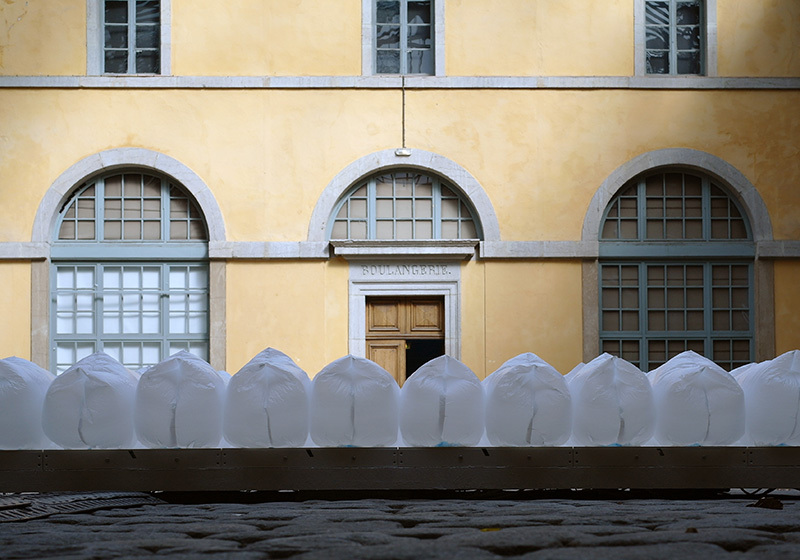 Although each bag is mounted in a stationary position, the sequences of inflation and deflation create the impression of lively movements. 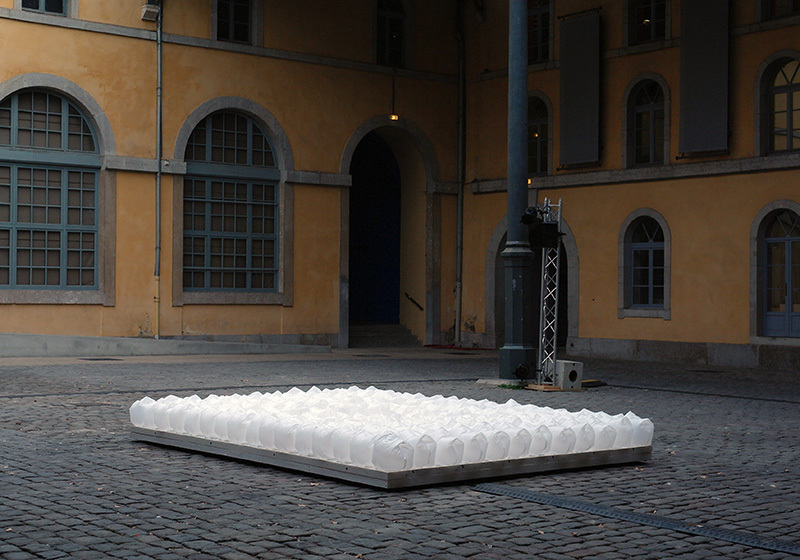 Forms appear from the matrix and disappear back into the surface. 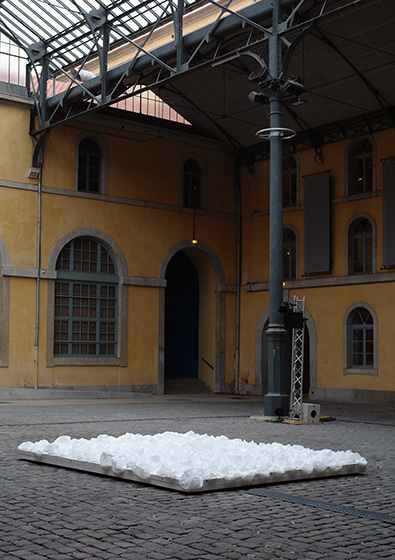 In this way shapes and the boundaries of the installation itself start to dissolve.